Casa Truffle™ was founded in Italy and eventually made its way to Saint Petersburg, FL. Today, their main imports are fresh truffles and finished truffle products handmade by Italian artisans. Truffles are one of the world’s most desired delicacies, and the black and white truffles from Alba are among the best and most coveted in the world. Bring home the Florida sunshine (or send it to a friend)!! These wooden gift boxes are hand-crafted by Florida craftspeople. The uniqueness of each gift box shows the uniqueness of the creator. No box is the same as any other. This adorable and delicious sampler pack gives you just a taste of the sea. 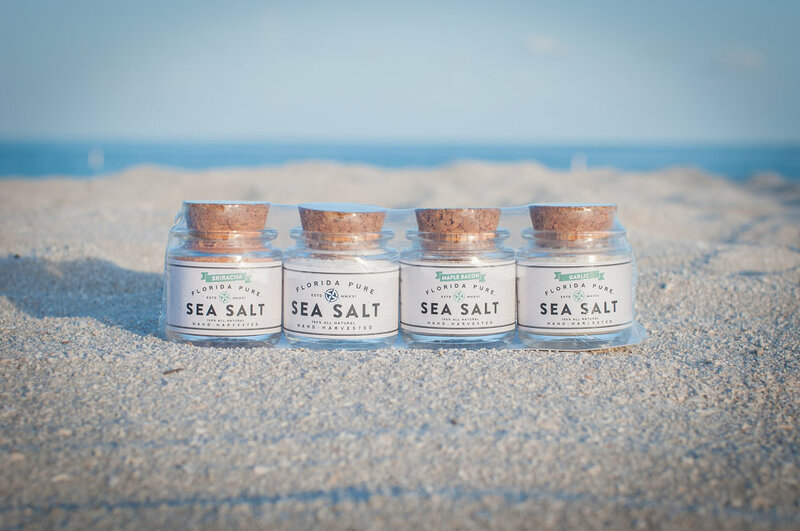 Highlighting our Pure Sea Salt, Sriracha Infused Sea Salt, Maple Bacon Infused Sea Salt (vegan friendly!) and our Garlic Infused Sea Salt, you’ll have a high quality finishing salt to sprinkle on just about anything!